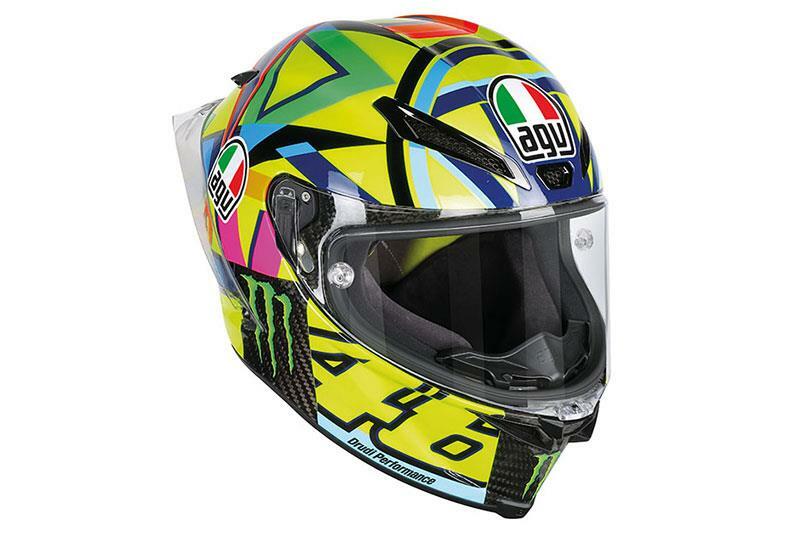 When it comes to helmets, AGV are considered to be up there with the best of them. 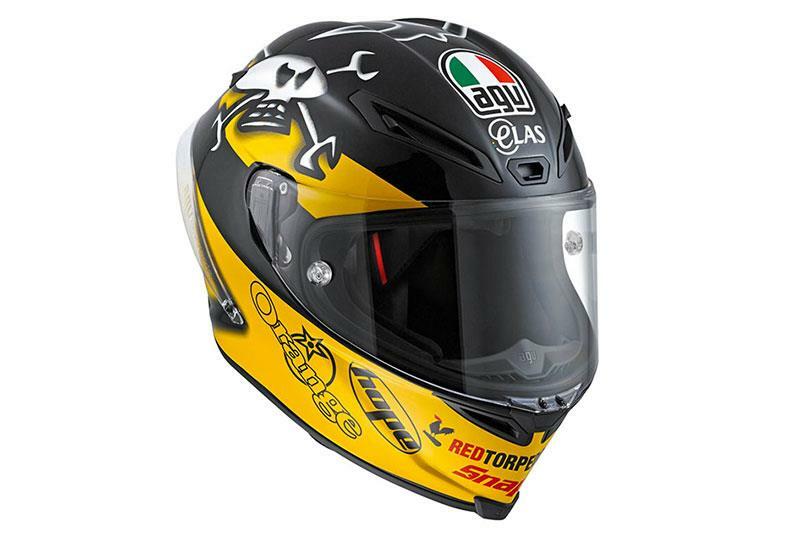 They protect the heads of many of the world’s leading racers, with both Valentino Rossi and Guy Martin sporting lids from the iconic Italian brand. So, we thought we’d bring together a selection of some of the best helmets currently available from AGV through the MCN shop. Okay, so the Pista GP-R is probably as much as you’re ever going to spend on a lid. What you get for your money though is the crème de la crème of motorcycle helmets, with the very best technology currently available. It’s constructed with an outer carbon fibre shell and has been developed at the very top level of motorcycle racing. It’s also been aerodynamically designed to be comfortable and stable at high speed, helped by the addition of the wind-tunnel tested Biplano rear spoiler. At the opposite end of the price scale is the K-3 SV. A more budget oriented price doesn’t mean that it scrimps on quality though. The K-3 SV has a four-star Sharp rating and comes loaded with handy features that makes this a great helmet for the price. It comes ready to take the AGV Share Bluetooth system and is also Pinlock ready. The helmet is constructed from a thermoplastic resin shell which comes in two shell sizes. The K-3 SV also features an internal sun visor and a fully removable Dri-Lex microfiber lining. The Veloce-S sits in the middle ground and features a high-quality construction and finish. The outer shell is made from a mixture of carbon, aramid and fibreglass that come in 4 different shell sizes. 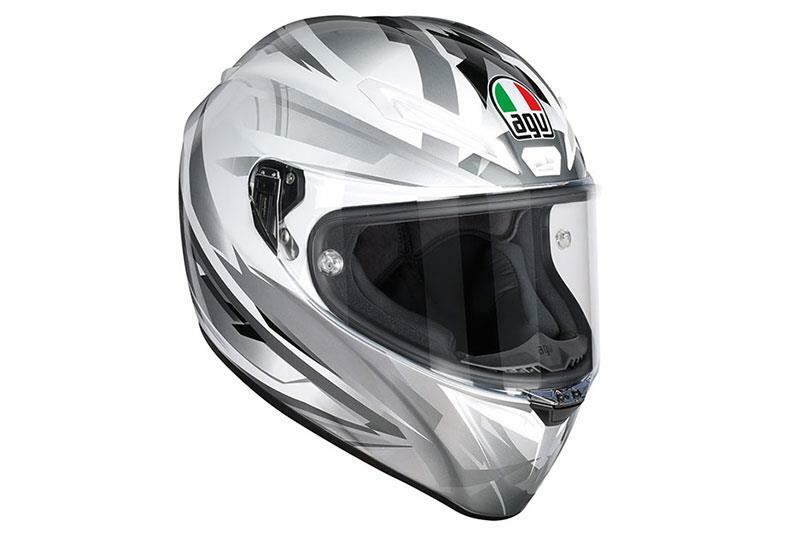 The lining features pressure-free fit interior cheek pads that are removable and the visor comes with a Pinlock insert and ready to accept racing tear-offs. The Corsa-R offers most of the same features as the range-leading Pista GP-R but in a slightly more affordable package. Its shell is constructed from a mixture of carbon and fibreglass and features an aerodynamic rear diffuser for extra stability at speed. The Integrated Ventilation System are optimally placed to take advantage of the best airflow through the helmet. The lining comes with the pressure-free fit interior that’s removable and also comes with a Pinlock insert for the visor that’s ready to accept racing tear-offs. Opting for a plain colour could save a further £150 compared to the Guy Martin replica making it slightly friendlier on the wallet too. 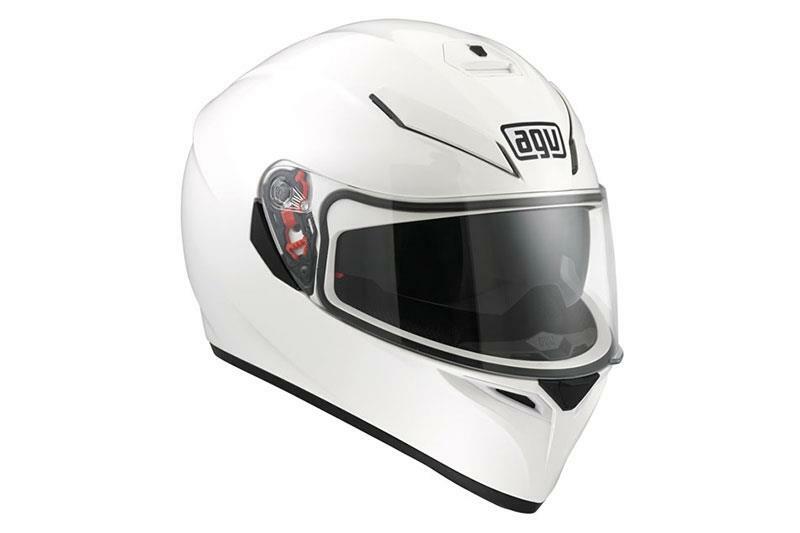 The AGV GT Veloce features a lightweight carbon-Kevlar construction, coming in 4 different shell sizes and is well suited to both the road and track. 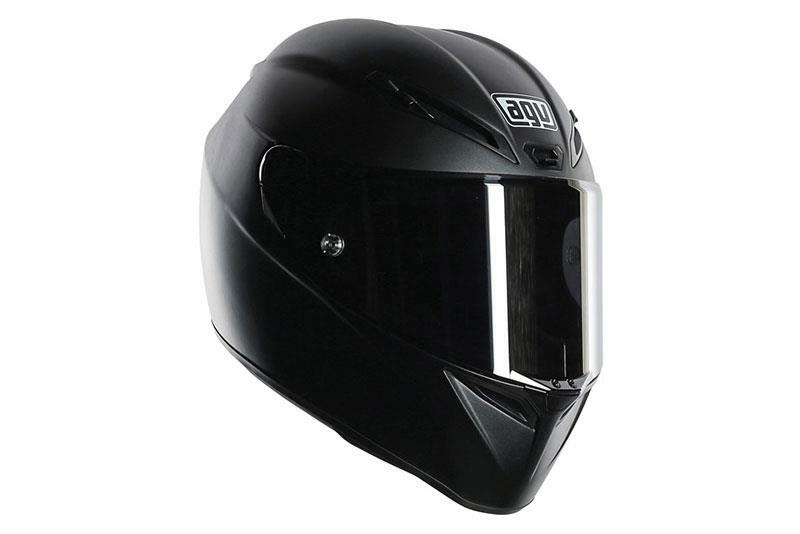 It comes ready to accept the AGV Bluetooth Share system and has a removable and breathable Lycra micro-porous lining with a Dry-comfort fabric.